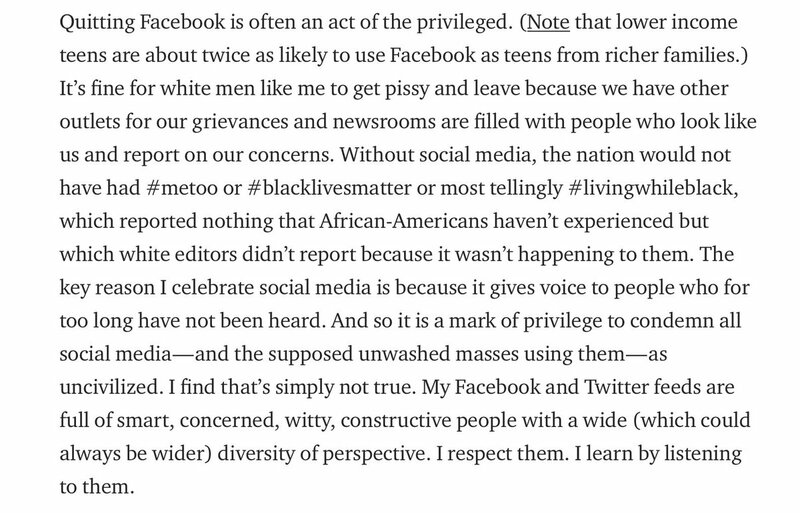 "Quitting Facebook is often an act of the privileged." This is such an important point. Americans cannot afford a predatory Everything Portal. We need public policy to make it better, not voting with our fingers. This company became many people's only way to do certain things, because we let it.